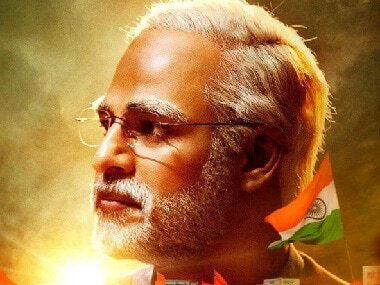 The Election Commission of India on Wednesday stalled the release of PM Narendra Modi, a day before it was set to hit theatres. The election watchdog has ruled that no biopics can be released during elections as the political content in such movies "threaten level playing field". The decision comes a day after the Central Board of Film Certification granted the Vivek Oberoi-starrer a 'U' certificate. 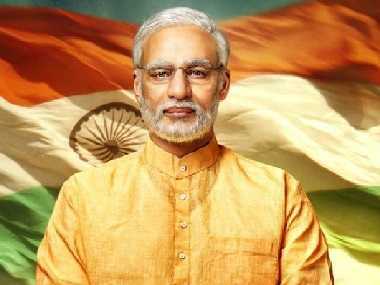 The biopic on Prime Minister Narendra Modi was initially scheduled for release on 5 April, but this was then believed to have been pushed indefinitely. "Any biopic material in the nature of biography/hagiography sub-serving the purposes of any political entity or any individual entity connected to it, which is intended to, or which has the potential to disturb the level playing field during the elections, should not be displayed in electronic media including cinematograph during the operation of MCC." The EC has stalled the release of 'PM Narendra Modi'. "Though the display materials claim to be a part of creative content, it is contended that these have propensity and potentiality to affect the level playing field which is not in consonance with the provisions of Model Code of Conduct," the poll panel said. On Tuesday, the Supreme Court had also dismissed a petition filed seeking a stay on the release of the movie. The bench had observed that the poll panel would be the better-suited adjudicating authority in this matter. "Biopics are a kind of surrogate publicity," the Election Commission said in its statement. The new rule also applies to biopics Lakshmi's NTR and Udyama Simham. According to its order, the Election Commission will set up a panel — to be headed by either a retired Supreme Court judge or a retired chief justice of a high court — to put in place an institutional mechanism to address such complaints. The panel will look into the content of such movies to decide whether they violate the Model Code of Conduct. A biopic can be released after clearance from this committee. 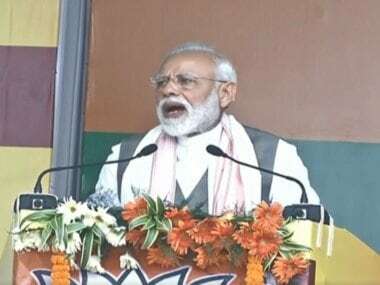 PM Narendra Modi, starring Vivek Oberoi and directed by Mary Kom maker Omung Kumar, courted controversy since the release of its trailer, with various political parties saying that releasing it before the general election would be a violation of the Model Code of Conduct. Citing Election Commission sources, an report in NDTV claimed that the EC order is also applicable on NaMo TV, which has generated controversy in the run-up to the General Election to Lok Sabha. Last week, the Commission had issued a notice seeking a report from the Information and Broadcasting Ministry (I&B Ministry) on NaMo TV, launched just weeks ahead of General Election, after opposition parties, including the Congress, asked the poll body to direct the ministry to suspend the channel in violation of the Model Code of Conduct (MCC). In its response, the ministry is learnt to have responded that the NaMo TV is an advertisement platform launched by DTH service providers which do not require government nod. The ministry is also learnt to have said that NaMo TVis not a regular channel and it does not figure in the official list of approved channels of the I&B Ministry. As per the existing norms, no approval is required from the ministry to run such advertising platforms, the I&B Ministry is learnt to have told the poll panel, as reported by PTI. The seven-phase Lok Sabha election begins on Thursday, 11 April, and ends on 19 May. The Model Code of Conduct came into force on 10 March when the Election Commission announced the dates of the polls.